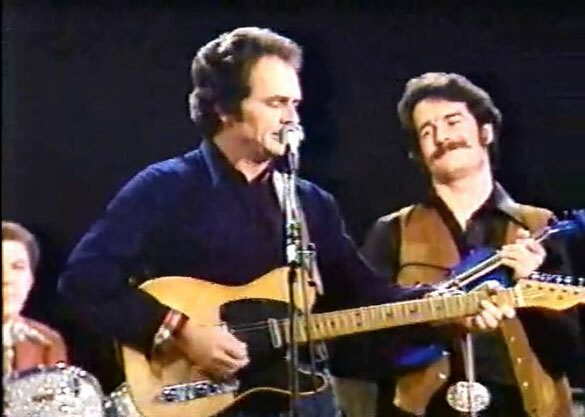 Merle Haggard performs "The Fugitive"Live Video. "The Fugitive' (later titled "I'm a Lonesome Fugitive" on the album) is a song recorded by American country music artist Merle Haggard, written by Liz Anderson and Casey Anderson (parents of country music singer Lynn Anderson). It was released in December 1966 as the first single and title track from the album I'm a Lonesome Fugitive. The song was Haggard's first number one hit on the U.S. country singles chart, spending one week at number one and fifteen weeks on the chart.The B-side, "Someone Told My Story", peaked at number 32 on the country chart.